With this contingency money up for grabs, we just may have to quit our day jobs and go racing instead! COSTA MESA, CA – March 15, 2018 – Six manufacturers are putting their money where their mouths are this year with BMW, Honda, Kawasaki, KTM, Suzuki and Yamaha offering up a combined contingency of over $4.5 million for the 2018 MotoAmerica Series. 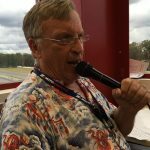 Throw in the almost $1.5 million in MotoAmerica purse money and the total haul for the series in 2018 is a lofty $6.03 million, the largest in the history of a U.S. motorcycle road racing series. Honda’s contingency program for the 2018 MotoAmerica Series totals $1.43 million in Superbike, Supersport, Stock 1000 and Junior Cup classes. A win in Superbike, Supersport and Stock 1000 will pay $5000 with a Honda victory in the new Junior Cup class netting the rider $2500. Honda will pay through to 10th place in all four classes. 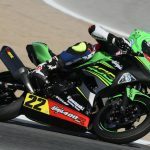 Kawasaki’s contingency program totals $1.07 million with the company offering money in all five MotoAmerica classes. 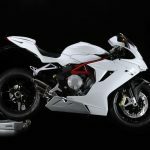 A victory in the Motul Superbike class will earn a rider $15,000, a Stock 1000 win will get them $5000 with a Supersport or Twins Cup victory worth $3000. A win in the Junior Cup class will pay $2500. Kawasaki will pay contingency down to fifth place. Suzuki is offering up $931,250 with a whopping $10,000 up for grabs for a win in the Motul Superbike class, $6000 in Supersport and $3000 for a Stock 1000, Twins Cup or Junior Cup victory. Suzuki will pay through to fifth place in all five classes. BMW will offer contingency in both the Motul Superbike class and the Stock 1000 class to riders using its S1000 RR. 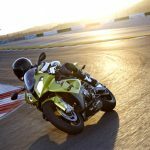 BMW will pay $4000 to win a Superbike race and $3000 to win a Stock 1000 with a payout back to 10th place in both classes. 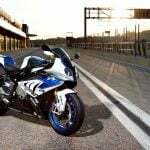 In addition, BMW will offer up $27,000 in championship bonus money in Superbike and Stock 1000. The total BMW contingency program is worth $795,000. Yamaha has posted $312,000 in its bLU cRU contingency program with payouts in all five MotoAmerica classes. A Yamaha victory in the Motul Superbike class will pay $5000 with victories in Supersport, Stock 1000 and Twins Cup paying $1000 each. If you win a Junior Cup race on a Yamaha R3, you will take home $500. 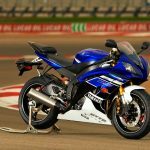 Yamaha will pay contingency to the top five in Superbike and Junior Cup and to the top three in Supersport, Stock 1000 and Twins Cup. KTM has announced a contingency program of $51,500 with $25,500 in race contingency for the nine-round Junior Cup Series and $26,000 in championship bonus money. KTM will pay $15,000 to win the Junior Cup Championship, $7500 for second and $3500 for third. The 10-round 2018 MotoAmerica Series kicks off with the Suzuki Championship at Road Atlanta in Braselton, Georgia, April 13-15.